Beta-Glucans 1,3 & 1,6 provide a role in activating the immune system, alerting the body to help defend itself against viral & bacterial invaders. Suggested dose is 1 capsule daily, so this is two months’ supply. Due to its ability to assist in immune response, Beta-Glucans 1,3 & 1,6 is most commonly associated with colds, flu & infections support. 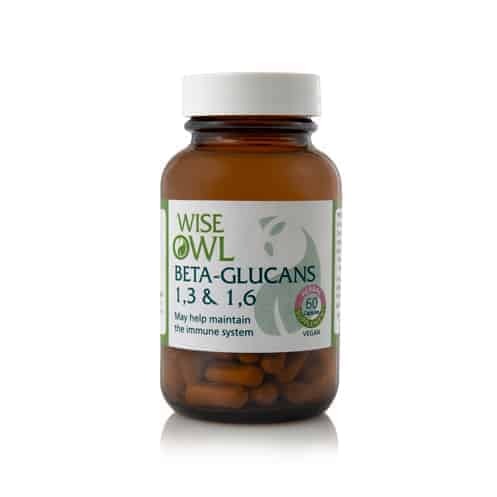 Wise Owl's Beta-Glucans is a pure extraction & does not contain any live yeast to cause any allergic reactions. Each gluten-free capsule contains 250mg of Pure Beta-Glucans 1,3 & 1,6.
is a pure extraction and does not contain enough yeast protein to cause any allergic reactions (for example, for those who have yeast sensitivities). is a natural form of soluble dietary fibre, derived from the cell wall of baker’s yeast. provides a role in activating the immune system, alerting the body to help defend itself against viral and bacterial invaders. due to its ability to assist in immune response Beta-Glucans 1,3 & 1,6 is most commonly associated with colds, flu and infections support. 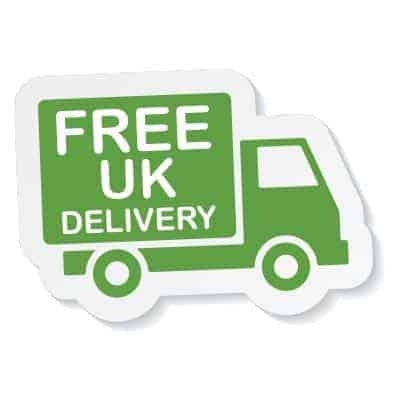 a gluten-free capsule each containing 250mg of Pure Beta-Glucans 1,3 & 1,6. All Beta-Glucans are not the same and Beta-Glucans 1,3 & 1,6 should not be confused with the Beta-Glucans found in oats (for example) that seeks to reduce cholesterol. Flu viruses “bind complement” which means they stop the part of the immune system that responds to fight viruses, called “complement”, from working. Beta-Glucans 1,3 & 1,6 actively and specifically inhibits this binding effect and so ensures activation of the immune system in response to the viral invader. Infection from viruses take about 48 hours after the virus has entered the body. If the immune system is activated it will prevent the virus from replicating so effectively the flu symptoms will not start. Recommended Intake: One capsule daily as a Food Supplement or as directed by a practitioner. Preferably take early in the morning, but may be taken with or without food at any time of the day. Product Ingredients: Yeast concentrate providing beta-glucans 1,3 & 1,6; capsule shell: vegetable cellulose.